Company owner Jim Rice, stationed in nearby Newton, NC, where the aircraft will be produced if Rice can come up with 0 million for the certification and production ramp up, says the POC did its job and will probably not fly again, but he's careful not to say. The focus now, money willing, is production, and much of the engineering pre-work has already been accomplished. VisionAire Jet almost hit the jackpot in 2012 with a letter of intent from a Chinese investor, but the deal fell through two weeks before the funds were transferred. Rice continues to look for the influx of cash. VisionAire founded by Rice in 1988 to build single-engine personal jet priced at .65 million, about half the cost of the closest sized twin-engine business jet, the Cessna Citation. Rutan builds the POC. Powered by a Pratt & Whitney JT15D turbofan. First flight in 1996. Company raises 0 million in financing, but needs another 0 million or more to certify; goes bankrupt in 2003. Design is purchased by Evation, a group based in Ames, Iowa. Evation teamed with former Embraer co-founder and aerospace engineer, Guido Pessotti. Evation flies the POC to Sao Carlos, Brazil, to complete the build and certify with Brazilian authorities. 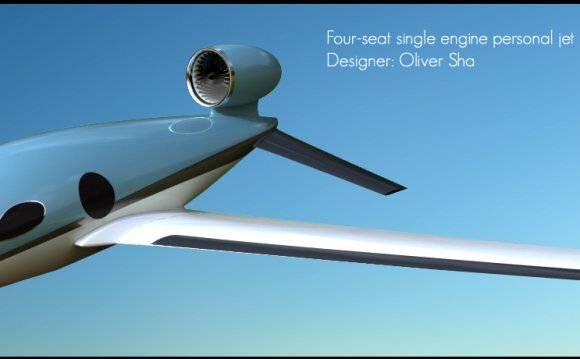 The team decides to change the basic design for a larger twin-engine jet powered by Williams FJ44 engines and Garmin G1000 avionics. Evation fails; Rice repurchases assets in 2012 (including the POC and an outfitted cabin mockup on a truck) and launches Visionaire Jet. Production is to take place in Newton, North Carolina, a couple of miles east of Hickory. The POC, now with more than 500 hours flight time, is moved from Iowa (after it had been flown back from Brazil) and was to fly again in 2014 with the Williams engine – it did not. Rice says there was nothing left to learn from a cost-benefit standpoint.